Is Spring Water Different From Tap Water? Spring water is derived from an underground formation from which water flows naturally to the earth's surface. Tap water, on the other hand is filtered water that comes from the town's water system or from a well. Many companies filter and bottle tap water. Tulpehocken insists on using natural spring water as its source because we understand that it sure is hard to get pure spring water from a filter. 1. Improve skin health. Water helps to moisturize your skin. Water also helps to maintain your skins elasticity and suppleness and even helps prevent dryness. 2. Remove toxins. By drinking plenty of water, you can help minimize the work your kidneys and liver must do in order to cleanse your body of harmful toxins. 3. Lose weight. Drinking water can help you control weight by preventing you from confusing hunger with thirst. Water also helps keep your body working properly and gives you the energy (and hydration) necessary for exercise. 4. Reduce the chance of a heart attack. Researchers at Loma Linda University in California studied more than 20,000 healthy men and women and found that people who drink more than five glasses of water a day were less likely to die from a heart attack or heart disease than those who drank fewer than two glasses a day. 5. Cushion and lubricate your joints and muscles. Water makes up a large part of the fluid that lubricates and cushions your joints and muscles. Drinking water before, during, and after exercise can also help reduce muscle cramping and premature fatigue. 6. Stay regular. Water helps prevent constipation by adding fluid to the colon and bulk to stools, making bowel movements softer and easier to pass. 7. Get energized, stay hydrated and be alert. On average, most adults lose about 10 cups of fluid a day through sweating, exhaling, urinating, and bowel movements. Even minor dehydration can cause impaired concentration, headaches, irritability, and fatigue. 8. Regulate your body temperature. Perspiration is your body's natural mechanism to control body temperature. And to sweat, you need plenty of water. 9. Reduce your risk of disease and infection. 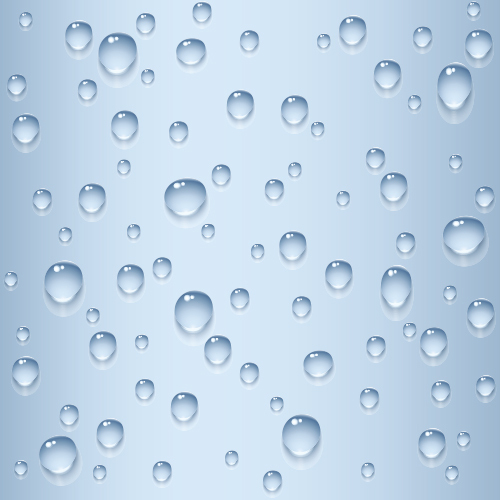 Water can help prevent kidney stones and reduce your chances of getting bladder, kidney, and urinary tract infections. One study found that women who drank more than five glasses of water a day had a risk of colon cancer that was 45 percent less than those who drank two or fewer glasses a day. 10. Get well. The traditional prescription to "drink plenty of fluids" when you're sick still holds strong. Water can help control a fever, replace lost fluids, and thin out mucus. How can I stay hydrated? Before heavy exercise, drink 16 to 24 ounces of water, decaffeinated tea or a sports drink. Realize that while you sleep, you are losing a lot of fluid (possibly from 1 to 1½ pounds of fluid. Whether you use a hydration pack or a water bottle, make sure it is convenient to use. Always drink 4 to 6 ounces of fluid every 20-30 minutes. Don't wait until you stop for a break or a rest. Your energy will be stronger when you drink more often. Drink before you feel thirsty because if you feel thirsty, it is probably too late. Dehydration signs are dizziness, loss of energy, headaches, anxiety, rapid pulse or hot, dry skin. Stop immediately and rest, drink liquids and have a good meal. If you have ever found yourself starting to make mistakes in judgement on the trail, there is a good chance you are starting to dehydrate. ©2019 Tulpehocken Spring Water. All Rights Reserved.